This is Battery replacement for Huawei Ascend P8. Is your Huawei Ascend P8 smartphone no longer holding a charge the way it did when you first took it out of the box? Or is the battery draining so fast it is inteering with the ability to enjoy movies and browse the Internet? 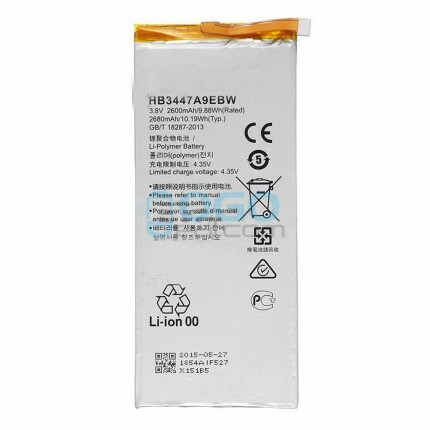 These are signals that it is time to change a high capacity Huawei Ascend P8 battery replacement. 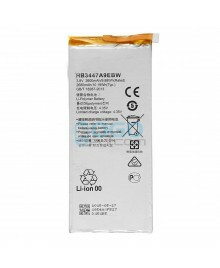 Battery type: Li-polymer; Capacity: 2680mAh. Professional Huawei Ascend P8 batteries wholsale factory supplier, ogodeal.com supply lots of replacement batteries for Huawei Ascend P8 with highest quality and resonable price. Ogodeal.com not only supply cellphone repair parts, but also supply professional repair tools which you can make your repair expert work more faster, at the same time we offer amazing accessories like cases,tempered glass screen protectors which you can hang on your repair shop.Just purchase at ogodeal One-stop shopping station, Save more energy, Save more time and Save more Money.Lots of repair shop choose us.It's time to buy from factory directly. Ogodeal Get Better Deal Here. Please kindly note: Batteries not allow to be shipped by dhl or epackage or hongkong post, we use special way to handle shipment of batteries. As batteries need to ship separately, so all batteries price will including extra battery shipping fee on it already, if you just need 1 pc for your own use, you can just check out with other items we will automatically ship two packages for you. If you need large quantity you can contact us, we can give you good wholesale price. And if you didn’t in that 17 countries we have way to ship out too, but shipping fee won’t cheap. So far for batteries post service shipment we only can ship to below 17 country, if you didn’t in the list don’t add any batteries in your cart please, as we can’t ship it out.